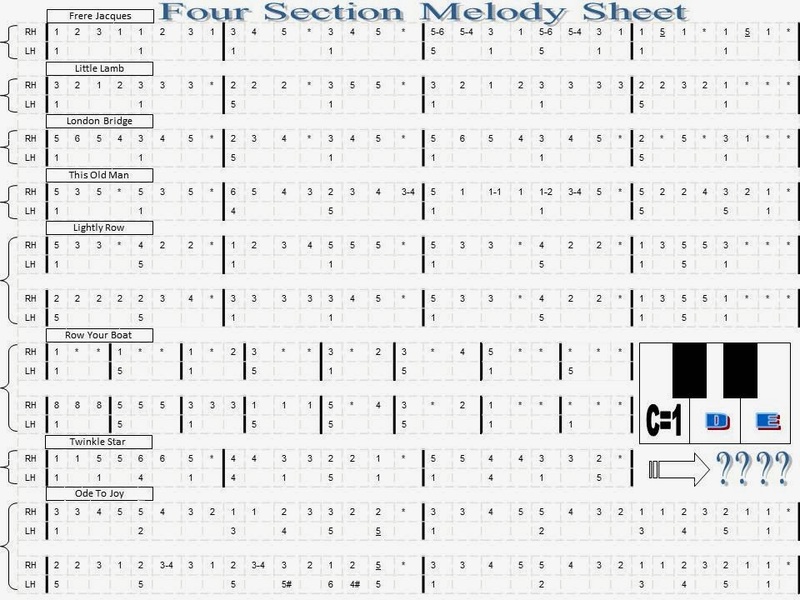 Here is a worksheet that shows how to play some classic melodies by following the numbers. RH=Right Hand. LH=Left Hand. C=1! Have Some Fun. "Right Click" and "Save As" to your "My Documents" folder so you can print it off.